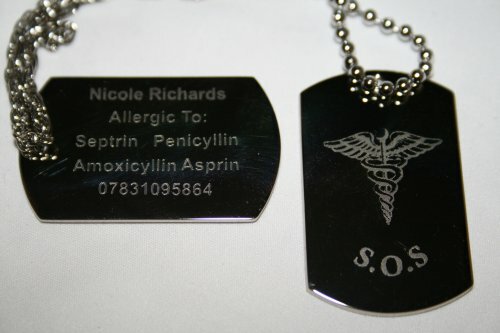 SOS Alert Medical ID Tag, Silver rhodium plated with a ball or rope chain. The price includes engraved details on the reverse on the pendant. 27mm x 18mm. silver plated gifts ID dog tag medical identification tag, medic tag, id tag.